We now offer Vodafone Business Broadband (the wholesale arm of Vodafone), which enables us to offer fixed price unmetered ADSL2+ Vodafone business broadband service with speeds of up to 20Mb down, and 1Mb up. Coupled with FREE activation this product offers one of the most competitive and highest quality connectivity solutions in the UK wholesale broadband market today. To keep our prices as low as possible our broadband services all our customers are given greater choice over which router / modem they would like to use. All our broadband services are provided as "wires-only" ADSL / FTTC from us. 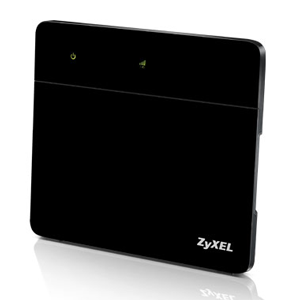 With the ZyXEL VMG8324-B10A there’s no need for you to invest on and replace the router should you migrate from ADSL2+ to Superfast Fiber; all you need to do is to unplug the DSL line, and then plug the Ethernet cable to the Ethernet WAN port.....simple. So in most cases, you can still connect with the original router to avoid replacing the unit due to the difference of physical connections. 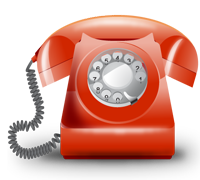 We can supply low cost business telephone lines and call solutions across the whole of the UK. All our business lines we provide are supplied and supported by our partners Openreach, which are part of the BT Group, and are heavily regulated to ensure that no one provider has an advantage over the other. As such we buy our lines and support from Openreach on the same basis as everyone else. Unlike TalkTalk, Virgin and Plusnet we DO NOT charge any call connection fees on ANY of our chargeable calls, saving you a massive 100% on every changeable call. 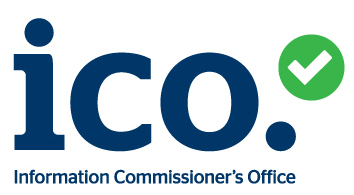 Call connection fees basically do not exist, and are used by the telecoms providers to cover their loss leading offers. Line Rental Explanation - Products labelled 'Inc Line' INC" the line rental, and means that if the line rental is held with Simple Telecoms, you qualify for a lower priced monthly rental and Vodafone broadband. If the line rental is held with a third party, such as BT Retail, you can still use our Vodafone broadband product, but at a different monthly subscription rate. The Vodafone FREE ACTIVATION promotion on ALL orders, with or without our line rental telephone service. **Vodafone broadband is a 30 day rolling contract. However, if cancelled within 12 months there will be a £35.00 cease charge.